"There are moments in our lives when we summon the courage to make choices that go against reason, against common sense and the wise counsel of people we trust. But we lean forward nonetheless because, despite all the risks and rational argument, we believe that the path we are choosing is the right and best thing to do. We refuse to be bystanders, even if we do not know exactly where our actions will lead." (Onward, pg 7). 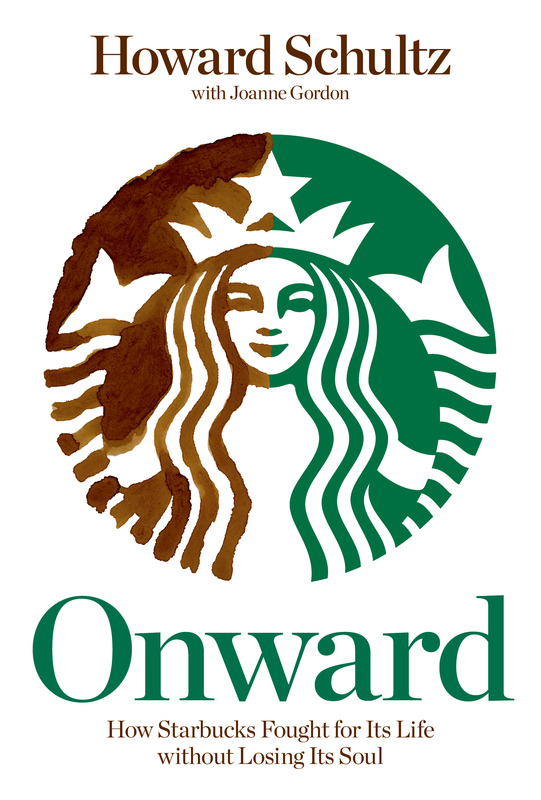 That quote comes from "Onward," a book I'm reading by Starbuck's founder, Howard Schultz. Starbucks is such an iconic brand. It's good for me to read about Schultz's many business challenges, especially in our current uncertain economy. I'm finding a lot of metaphors to my own life. It's beautiful to recognize that leadership means I'm not sure exactly where my "actions will lead." I have a vision in my heart. I gather intel and emotional support. Then I leap. I trust myself to make course corrections as necessary. Leadership means risk. I don't sit frozen in place until every possible contingency is covered with a exit plan. This is different from how I was raised under the mantra of "Don't Screw up!" "Don't embarrass us!" "Don't bring negative attention to the family!" "Failure is not an option!" It's healing to read business books because these leaders are all about embracing failure. Failure is not simply an option, failure is a guarantee. There are going to be ideas that don't work. Failure is a good thing because it teaches you more than success. I feel caught as a mother because that is the one job where failure is not allowed. Failure means my kid ends up in jail, on drugs, or the stripper pole. Failure means my kid is an artistic success but so emotionally stunted she can't pick a decent marriage partner. Failure means my kid doesn't call home on Thanksgiving Day and spends hours complaining about me to her therapist. Because of my personality, it's easy for me to snowball my little failures of parenting into my fear of the big failure "This is it! This is the moment that I've screw up my kid for life!" My fear is often totally out of proportion to the actual parenting lapse--like forgetting that my six year old lost a tooth last night and needed some cash or candy under her pillow. It's soothing to read about the launch of Starbuck's instant coffee line, VIA. There were a lot of mistakes. There were some missteps. The path to an innovative idea wasn't laid out clearly in some Wall Street Journal Article. I'm doing something innovative here too. I'm raising a Hannah. An Alex. A Maria, Teresa, and Abigail Clare. There is no book. There's no surefire parenting method to avoid failure. There is a passion in my heart. There is a commitment. There is a belief that I'm going to figure out how to mother them in the ways they need to turn into healthy, strong and unique human beings. I graduate from a fancy Leadership Program at Smith College. Yet I didn't know what leadership meant until I became a Mom. Leadership means "knowing who I am." Leadership means "knowing where I'm going." Leadership means that I have a healthy self confidence that even if I can't see exactly how to implement an idea that I can figure it out as I go along. Leadership means embracing my fear of failure.